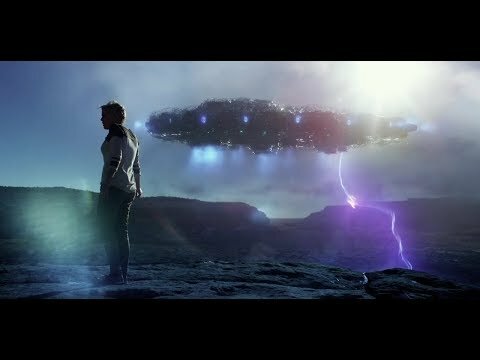 In Beyond The Sky, Chris Norton (Ryan Carnes) has a powerful and traumatic connection to alien abductions since his early childhood, but, in his gut, he knows they are not real. Setting out to disprove the alien abduction phenomenon once and for all, he attends a UFO convention to meet alleged abductees and reveal the truth behind their experiences. It is only when he meets Emily (Jordan Hinson), who claims to have been abducted every seven years on her birthday, that Chris realizes there may be more to these claims than meets the eye. With Emily’s 28th birthday only days away, Chris helps her to uncover the truth as they come face to face with the reality that we are not alone. Beyond the Sky was released on Blu-ray and DVD 171d ago in the US. Notify me when Beyond the Sky is available.